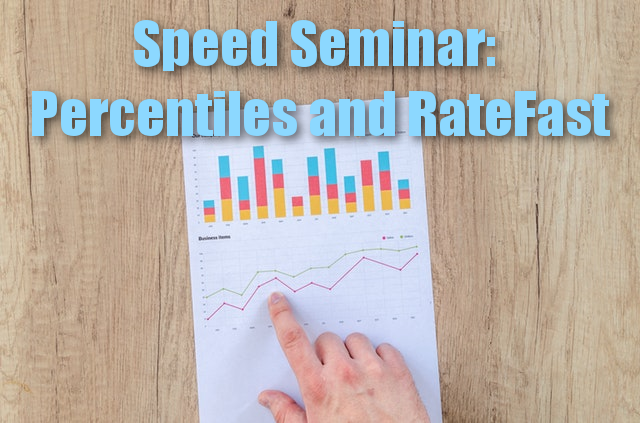 In our most recent Speed Seminar, Dr. John Alchemy gives a little insight into Percentiles, and how they work in the RateFast databanks. Percentile (noun) – a measure used in statistics indicating the value below which a given percentage of observations in a group of observations fall. For example, the 20th percentile is the value (or score) below which 20% of the observations may be found. A single piece of data in and of itself does not give much information to stakeholders. In this case, the data is the outcome of the WPI (whole person impairment) of an injury. If that data is a dot in space by itself, stakeholders are left wondering the significance of the outcome. Putting that data on a larger graph with other data allows stakeholders to see in what percentile this injury falls, against the backdrop of all other injuries on the graph. Thus, percentiles allow context of a result.